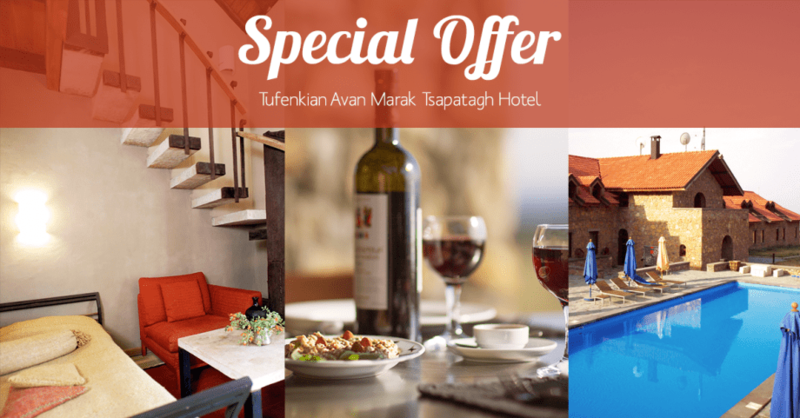 We are happy to announce end-of-season special rates in Tufenkian Avan Marak Tsapatagh Hotel located at Sevan Lake. Take advantage of these exclusive special offers and book a stay at our hotel today. You also get a 15% DISCOUNT at Zanazan Restaurant, which is part of Tufenkian Avan Marak Tsapatagh Hotel. Additional person charge - AMD 5,000. Minimum stay - 2 nights. The offer includes breakfast and dinner with set menu at Zanazan Restaurant, which is part of Tufenkian Avan Marak Tsapatagh Hotel. Additional person charge - AMD 10,000. Special offers are valid through Oct 15th, 2015.